Special Containment Procedures: SCP-4680 is to be kept in a humanoid containment cell at Site-59. As per the 5/20/18 ruling of the Ethics Committee, SCP-4680 is to be provided with no more than five bottles of inexpensive red wine per day, upon request. Due to SCP-4680's hostile nature, resilience to standard-issue sedatives and tranquilizers, as well as its anomalous regenerative capabilities, this has proven to be the most effective method of pacification, sedation, and maintenance of its mental health during containment. 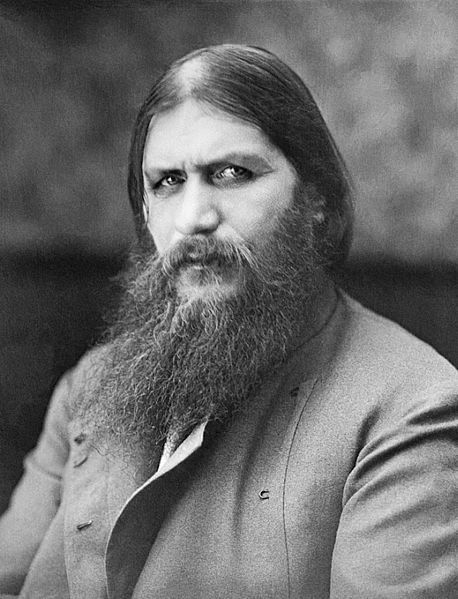 Description: SCP-4680, known as Grigori Rasputin prior to containment, is a biologically immortal male humanoid entity. The subject does not age, and displays a rapid form of regenerative healing to wounds sustained. This ability is limited in that it cannot re-grow amputated extremities, which appears to be a source of severe aggression and sadness for the subject. SCP-4680 displays extreme hostility and resistance to containment, along with advanced stages of alcoholism. The physical effects of the latter condition appear to be negated by its regenerative capabilities. SCP-4680 gained notoriety for its involvement in Imperial Russian politics prior to the formation of the Soviet Union, and was reportedly assassinated on the 30th of December, 1916. According to SCP-4680, its regenerative capabilities allowed for the subject to fake its death, then escape to a small farm near the town of Krasnoyarsk. The subject resurfaced in 2016, following a string of attempted burglaries of the Museum of Russian Erotica in St. Petersburg. Following its arrest, SCP-4680 was transferred into Foundation custody from Russian authorities upon the discovery of its anomalous effect. Upon containment, a disorganized series of notes was found among SCP-4680's belongings. Though largely illegible, undated, and filled with a system of shorthand that appears to be of the subject's own design, the following passages have shed light onto SCP-4680's anomalous qualities. Troubling news to report. Today, I talked with the one member of the Synod who actually knows what he's doing. It would appear that all the women I've bedded have finally placed me forever away from the eyes of God. I am beyond repentance, and will face all the eternal torments of Hell upon my death. To despair about this would do nothing; I must look at this problem from a pragmatic approach. Now that God has turned His back on me, I must take my salvation into my own hands. But how? Perhaps inspiration will come to me over my 5:00 with Nastya. Took lodgings in Minsk. Saw a circus freak show on the way to meet Svetlana and her two cousins. "The Indestructible Man" was among them. Shot, poisoned, impaled from ear to ear with a hot iron, burned - never once stopped screaming to fall down and die. This should not be possible. Snuck into the circus at night. Spoke with the Indestructible Man. He has a name - Pyotr. Very intelligent - I thought he was another inbred vagrant subjected to humanity's instinct to point and laugh, but this was a learned student of a French university. His indestructibility was his own doing. He knows the technique. I freed him, on the condition that he would share this technique with me. This could be the breakthrough I need! The odd thing about immortality - nobody tells you about all the migraines. Better than eternal damnation, I suppose. Yusupov and his friends invited me to their house to fail at killing me. Still, they put a lot of effort into it, so I played along. I don't like to disappoint a host without necessity. Woke up in the river two days later. Think I'll take a train east and change my name, lay low for a while. Have I fucked anyone in Krasnoyarsk yet? Some insane Marxist book club killed my Tsarina and that mustachioed twit she lived with. My heart is broken, my body is tired, and I've emptied my last bottle of Madeira. Now that suicide is no longer possible, perhaps I'd better sleep for a while, until the world can offer unfamiliar wonders that may satisfy me yet. IN AN UNIMAGINABLE ACT OF CRUELTY, I HAVE BEEN ROBBED OF WHAT IS MOST PRECIOUS TO ME IN MY SLEEP. TO RECLAIM IT IS NOW THE ONLY THING THAT MATTERS. Lord, I repent every year I have spent cheating my death. I am old beyond what I deserve. Please give your fallen mystic strength, one last time, to reclaim that which is greater than myself.